The much loved snack. 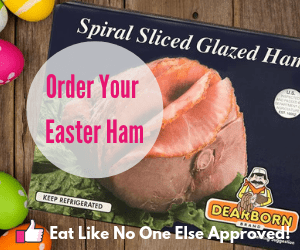 Eaten on their own or used as a vehicle for cheeses, hummus, meat, and more. 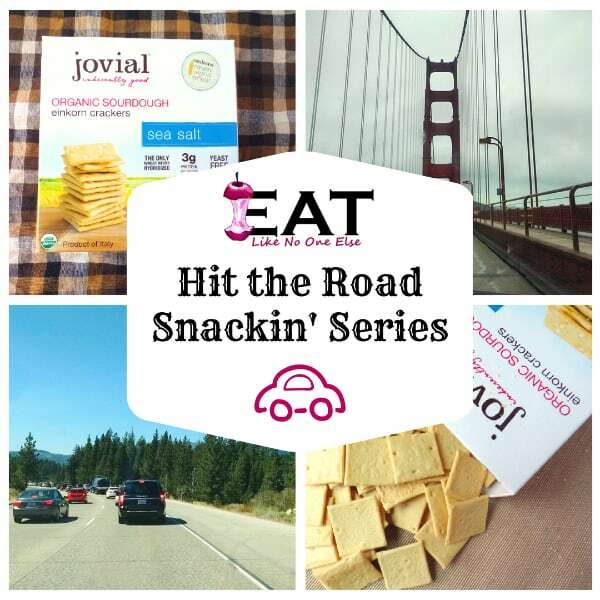 Crackers are pretty wonderful and deserve a spot in our Hit the Road Snackin series. Crackers it’s time to take center stage! The crackers speak of are Jovial Organic Sea Salt Sourdough Einkorn Crackers. You may be wondering what an Einkorn cracker is. The cracker is made from from an ancient variety of wheat called Einkorn. What is significant about this wheat is that it has never been hybridized yet pretty much all the other wheat that we eat. People have been growing this wheat for thousands of years. New varieties of wheat have been created over the years to be more productive to put more dollars in pockets. There a lot of people questioning if we have changed wheat so much that many people can no longer consume it. Is this the reason why we have seen such a spike in gluten intolerant people. I have not done all the research on whether this is true or not, so I am not making any scientific, research tested claims here. But I do think this is an idea worth exploring. I personally believe that this is a good possibility. 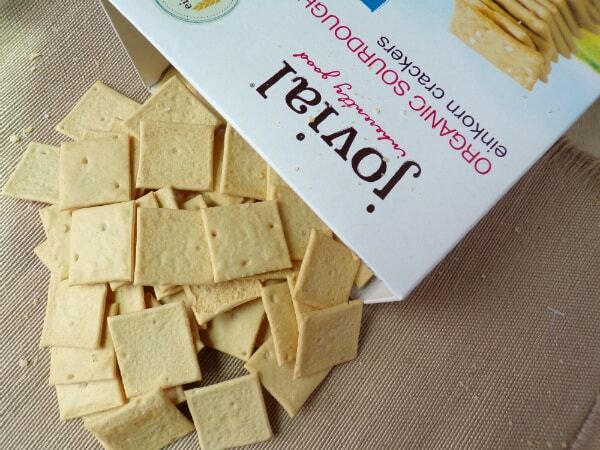 Joival crackers do not contain added commercial yeast or sugar. Take a look at a box many of the name brand and store brand crackers. You will see they have added sugar and/or high fructose corn syrup to them and many of them have added yeast in some form. Why is sugar added? There are many reasons but let’s on flavor. Sugar makes processed foods taste better. A lot of flavor is lost when you process food to a certain point. If you have ever tried raw milk you would taste how it differs from ultra pasteurized milk. 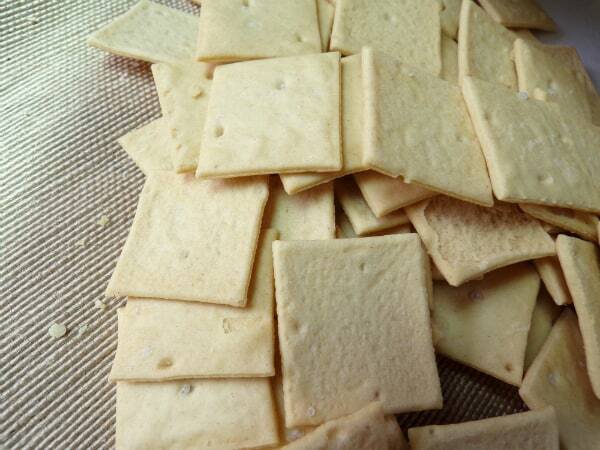 You can eat Joival crackers without worrying adding extra sugar to your diet. The crackers also don’t have commercial yeast added to them. They are leavened naturally with a sourdough starter. 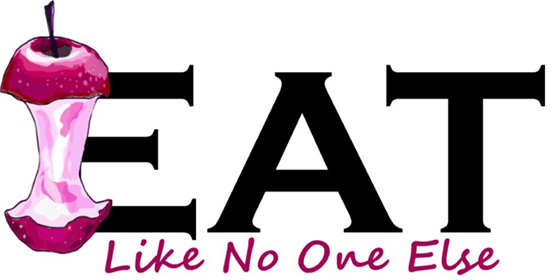 Many people struggle with having too much yeast in their bodies (the added sugar in processed foods makes it worse). So for people looking to cut both sugar and yeast these crackers are a perfect choice. RELATED Is All Himalayan Pink Salt the Same? Joival crackers are on the small size, kind of like Wheat Thins, but without the modernized wheat. Jovial was founded by a husband and wife team – Carla and Rodolfo. They discovered that their daughter’s health issues could be traced to the modern wheat that she was eating. They wanted to make gluten free foods for their daughter and others to enjoy. Soon they suspected that changes in wheat and other varieties of plants was contributing to the rapidly increase in the number of children with food intolerances. They began looking around for what they could do to reverse this trend. That is when they discovered the nearly extinct Einkorn. 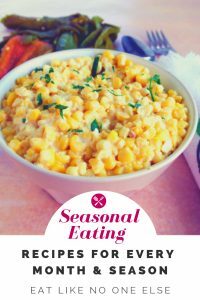 Their daughter is able to eat Einkorn wheat without the problems she was having from the modern wheat. Einkorn is wheat so it still contains gluten. There is something about the makeup of Einkorn that allows their daughter to consume it. What a wonderful discovery they have found that I am more than happy to help get the word out about. 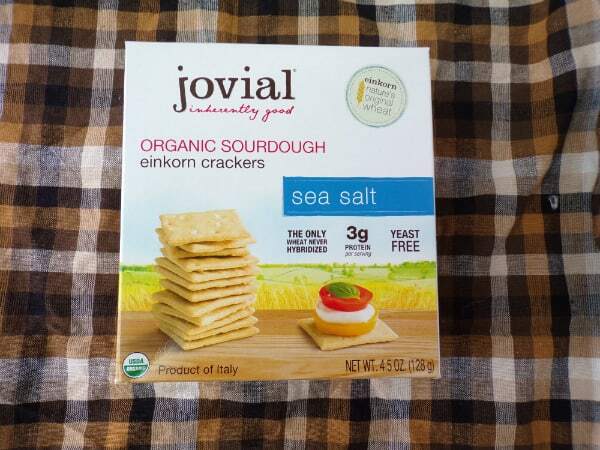 Get up close and personal with Jovial Sea Salt crackers. So what is actually in these Sea Salt Einkorn crackers. Here is the full ingredient list (not it’s not very long) – Organic einkorn flour, organic einkorn sourdough starter (organic einkorn flour, water), organic palm fruit oil, sea salt. Remember this does still contain wheat. If you have allergy concerns you will be happy to know that the crackers are made in a dedicated facility that is free from milk, eggs, fish, shellfish, tree nuts, peanuts, and soy. The crackers are small in size. Kind of like a Wheat Thin brand or store brand wheat cracker. The flavor of the cracker does have that hint of sourdough to it. Not as strong as a good sourdough loaf of bread mind you, but its still present in the flavor profile. Are Jovial Crackers Good for Dipping? One of the biggest questions I had about these crackers was how they hold up as a dipping cracker. I know these aren’t the largest crackers in the world but what I am really looking for is can you dip them into your dipping medium without them breaking. The answer is a definitely yes! That’s another win for Jovial crackers. The kids loved them with almond butter and strawberry jam on them. During our cross country road trip in 2016, we got to see so many amazing sights. 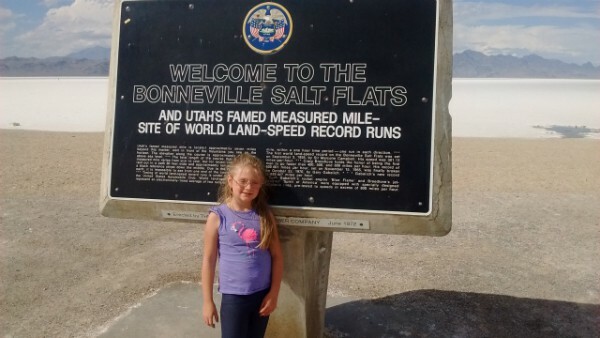 One of the most unique places we visited was the Bonneville Salt Flat in Utah. After hitting up the Great Salt Lake, we stopped at the super convenient rest area right in front of the flats. It was amazing to see so much salt and to be able to walk on it. The land is so flat with the beautiful mountains in the background. The kids love the place as you can see by the smile on my daughter’s face. I have never been to another place like it. Places like this are one of the reasons I prefer road trips over flying. You can’t see places like this from the air. Previous Post: « Do You Have to Peel Peaches for a Pie?